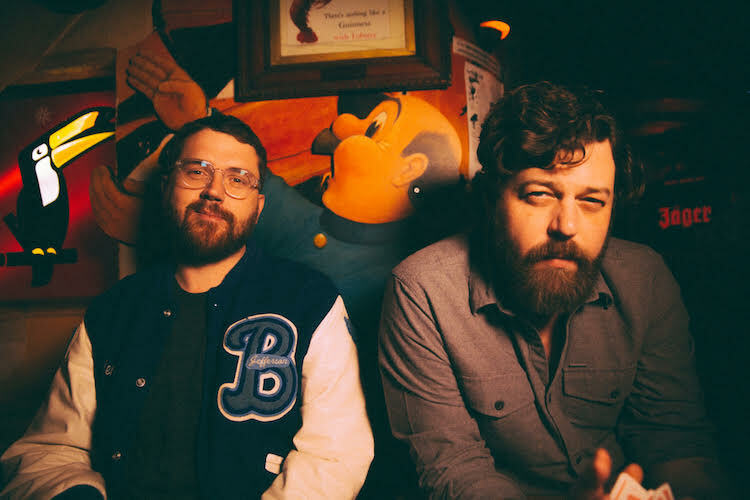 The brilliant Bear’s Den are back with not one, but two phenomenal new tracks. These two songs — ‘Fuel on the Fire’ and ‘Blankets of Sorrow’ — are taken off of their upcoming album ‘So That You Might Hear Me’, a follow up to 2016’s ‘Red Earth and Pouring Rain’, an expansive and eclectic collection of songs which themselves were an evolution of 2014’s, Ivor nominated ‘Islands’. Set to be released April 26th, via Communion Records, (the record label which Bear’s Den’s Kevin Jones himself set up along with Ben Lovett from Mumford & Sons and producer Ian Grimble), the album will follow a European tour culminating in O2 Shepherd’s Bush Empire from the 1st to the 23rd of April. And now onto the songs themselves. Musically speaking, they both manage to showcase the band’s incredible ability to craft haunting, soul-searchingly poignant lyrics, from the different ends of their reach. Fuel on the Fire, the music of which soundtracked their album reveal teaser, is stunning. Pulses of electronic melodies under electric guitars soundtrack Andrew Davies’ beautiful voice. The lyrics themselves are perfectly suited for the music, somehow upliftingly melancholy. The same effect is produced with the chorus. ‘Fuel on the Fire’ is typically the idea of an explosion, to make a flame roar; and yet, with his gentle crooning, it becomes almost a desperation to just keep that same fire going. ‘Remembering how to love’, he sings: ‘was it all in my mind?’ The track becomes intimately personal and yet somehow all-encompassing, a theme that applies to any relationship, rather than solely a romantic one. But personally, I prefer ‘Blankets of Sorrow’. The sound harks back to the first releases from the band; on my first listen, I was struck with flashbacks of my first time listening to Island’s Bad Blood. The song is a masterclass in crafting a truly stunning piece of music. About trying to reach a now distant loved one, the song explores themes of familial love and is distinctly them. As much as Bear’s Den might evolve musically, and as much as I love their recent releases (particularly Red Earth’s ‘Greenwood’s Bethlehem’), nothing can beat how their beautiful, intimately acoustic melodies make me feel. Blankets of Sorrow is no exception: full of wonderful harmonies, gentle guitars, heart-wrenching choruses and a sprinkling of drums just to make the rocking, peaceful beat noticeable. The song would work just as well to get you excited for a day ahead, putting you in a good mood, as it would to relax you at the end of a tough one. I love it. If these two tracks are anything to go by, their new album is going to follow in the paw prints of its predecessors and burrow its way into the hearts of each and every person who is treated to their sound: and I can’t wait.